In Japanese take-out or take-away translates as “demae”/出前. It is a practical way to take home sushi from your favourite sushi bar if you do not have the time to eat there or if you want to appease your better (worse?) half for eating out without her/his permission! 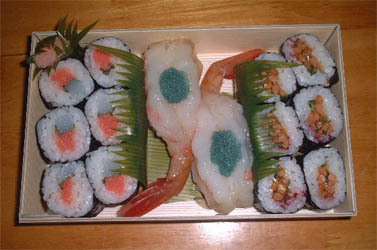 Mind you, not all sushi restaurants will accept to ake them, especially the ones upscale. Unless they already know you and that you will eat their sushi early enough.